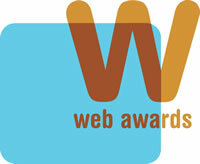 WebAward is an annual international competition organised by the Web Marketing Association. Its aim is to recognise and award talented individual and team efforts in outstanding Website development and generate internet marketing exposure for the award winning websites. "As interesting and attractive a real estate agent site as I have seen"
Foxtons.co.uk has been presented with a WebAward for "Outstanding Real Estate Website" in the 2012 WebAwards for its innovative redesign. Being named as one of the most 'outstanding' real estate websites in the world is a great achievement for Foxtons and our customers.